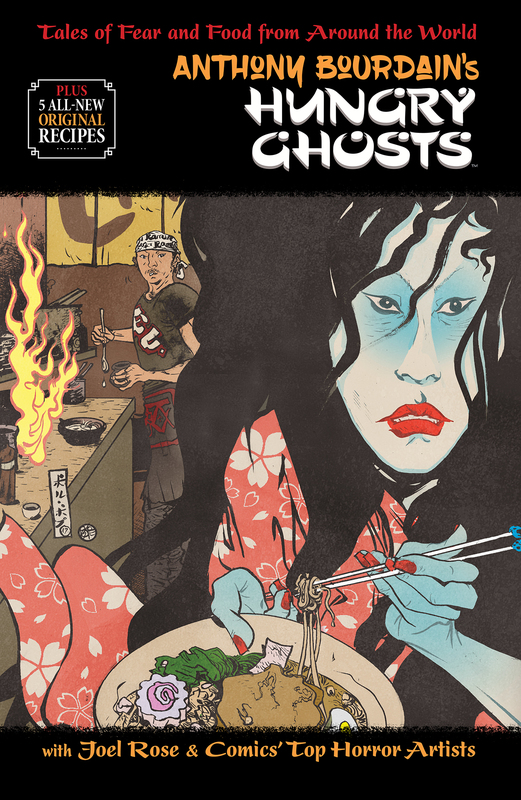 While the world is still mourning after the passing of LEGEND Anthony Bourdain, coming in October, the final graphic novel of Hungry Ghosts will be published by Dark Horse Comics. · A reunion for Bourdain and Rose with legendary comic book editor Karen Berger — the editor of Dark Horse Comics’ imprint Berger Books and recent inductee into the Will Eisner Comic Industry Awards Hall of Fame — who was the founding editor of Vertigo Comics, which published Bourdain and Rose’s graphic novel debut, the New York Times #1 bestseller, Get Jiro! · A jaw-dropping cover by bestselling comics artist Paul Pope. 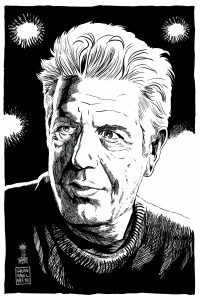 Above all else, Anthony Bourdain was a writer. He wrote 14 different books, with a few more in progress at the time of his passing, and spend decades writing and starring in television! ghosts, demons and unspeakable beings-and prays to survive the challenge. Villarrubia, and a drop-dead cover by Paul Pope. featuring Rose and Paige from The Last Jedi.